We report on Cruise and Maritime Voyages' (CMV) excellent and value-for-money Magellan in this issue, but the highlight of August is bound to be Crystal Cruises' sold-out inaugural Northwest Passage voyage from Anchorage to New York. And here is a thought. According to Sea Lines, the magazine of the Ocean Liner Society, there are currently 81 cruise ships on order, of which 51 will be of more than 100,000 grt. The very great majority of these liners are being assembled in Europe, concentrated in just a few shipyards. None are being built in the UK. Cruise and Maritime Voyages, better known as CMV, is a relatively-new name to the British cruising scene, established in 2009 and now with Magellan (46,000 tones – 1,250 passengers), Astor (20,000 tones – 590 passengers) and the ever-popular Marco Polo (22,000 tones – 840 passengers), an important player in the market. Astoria (12,000 tones – 500 passengers) leaves the fleet next year, to be replaced by the much larger Columbus (64,000 tones – 1,400 passengers). More anon. BTN editor-in-chief Malcolm Ginsberg and his wife recently joined Magellan for a nine-night British Isles Cruise rom Tilbury, London’s only proper cruise terminal. It's very easily accessible from the M25, dour surroundings, but a pleasant enough building upgraded in recent times, offering a very friendly arrival. A coach service option is available from London Victoria with luggage straight to your cabin. CMV passengers are mainly British "middle England" and of a more mature status. For most cruises, CMV is adults-only but its real strength is offering value for money and departures from a number of regional ports often not able to support the bigger ships. Cruises from Bristol, Dundee, Greenock (Glasgow), Hull, Leith (Edinburgh), Liverpool, Newcastle and now Newport all fill up very quickly. There are a number of single-occupancy cabins available at a 25% premium. Upon arrival home from Magellan, a welcome letter met us, naturally with an offer for the next cruise. A clever marketing move. Boarding could not be simpler. 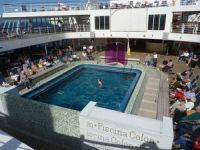 Passengers are asked to arrive at a time determined by their baggage tag, whisked through the formalities by the ship’s staff, not an outside contractor, and once on board escorted to their cabins, a facility normally offered only by 5-star-plus ships. As they deal with the simple paperwork, it is easy to ask questions of people who actually know about the ship. Our welcomer was the lead singer, only too happy to explain what was what. This was our first time with CMV and we were accompanied by a couple who had never cruised before. Among the welcoming package was a note to say that guests with special dietary requirements or food allergies would be welcome to meet the executive chef later. A nice touch. 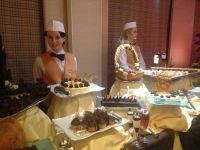 On the first day at sea, there was a live cookery demonstration in the Show Lounge. The staff were much the same international mishmash as with all cruise ships these days. The senior officers, hotel wise, were regularly seen in and around in the public areas, out to please, replicated by their staff. The majority of window cabins are all the same size regardless of the deck and are unusual in being much wider than the norm, giving the impression that they are larger than is the case. No couch, but much more moving manoeuvrability. The light switches are simple and controlled from the bed but the phone is on the dressing table, hardly used, and it could be argued perfect for the wakey-wakey call as you have to rise to switch off. A decent-size flat-screen TV is provided and mounted in a sensible position with all the normal UK TV channels available plus films and ship information. There is no charge for a (fine) continental breakfast. A daily UK newssheet can be picked up at reception, but printed copies of The Times, The Daily Telegraph and the Daily Mail will cost. A hairdryer, safe and turndown service are provided. The bathroom is also bigger than the norm with the shower available as a walk-in, without the need to draw the curtains. Electric points are of a US two-pin variety. There is more than enough storage space, even for an around-the-world cruise (which the ship undertakes starting on 5 January, 120 days split into sectors). There is an in-cabin pay bar and simple meals can be requested during normal hours at a charge. Everything is in sterling in a cashless system and, providing you are happy with the statement, your bill is on direct debit, reminded when you receive your bank statement! CMV suggests a service fee of £5 per passenger per day added to your account, but there is no compulsory bar tip, that being left to the client and not pushed by the staff. Drinks are very reasonably priced with beers starting at £2.70 for 33cl, cocktail of the day typically at £3.50 and you can take a bottle (100cc) of Glenfiddich Special Reserve home for £22.90 as a pleasurable reminder of the (Scottish) trip. Smoking is allowed only on deck in restricted areas; the same rule applying to e-cigarettes. Passenger flow is important and on this ship it works well. Magellan is one of the best-laid-out craft afloat, with vast deck areas (it was designed for the Caribbean), a decent-sized shopping zone with quality products, plus the Mall, an extended lounge on the starboard side which also hosts the “Buffet Magnifique” one evening late, plus, on the night before the cruise ends, a sumptuous chocolate buffet. It is a very easy ship to find one's way around. 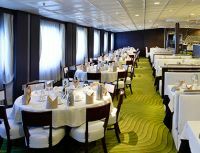 Magellan has two dining rooms, the Kensington and Waldorf, with the galley between and staggered starting times. This results in a quicker service, the kitchen not under pressure. Amidships, the Kensington is entered via Hampton’s lounge, with live musical accompanist, while the Waldorf has fine views over the stern. Nicely presented themed dining was much the vogue, typically an Italian dinner, Greek offerings and “Pirates of the Caribbean”. More-English alternatives were always available, and in the evening the Raffles self-service restaurant (for breakfast, lunch and afternoon tea) adds tablecloths, wine service, and a rather nice less-formal ambiance. There are cooking stations for eggs, stir fry and pizza depending on the time of day and, close by the amidships pool, the Grill, for fast-food-style fried chicken, sausages and very tasty burgers. A 24hr self-service tea and coffee station is provided. For a special night, the Chef's Table in the library provides for aperitifs and canapés, a nine-course degustation meal and appropriate wine, cheeseboard and presentation photographs for £49pp inclusive. What was completely different from other operators was the timing of the major stage shows. If you are eating at the late 20:30 dining, an 18:30 visit to the theatre was suggested, which meant you were out around 1hr later and ready for cocktails. After-dinner cabaret was provided in the Captain's Club, usually by one of the ensemble, or the cruise director, a man of many skills. Alternative live offerings occupied Hamptons bar, Sinatra’s lounge and for the disco buffs there was pre-recorded dance music in Scott’s night club. With the Magellan Show Lounge, the live band sits up high external to the stage and plays welcoming music for about 10min prior to the performance. Yet another nice touch. Bar staff are around too. With the show lounge, the simple sets were excellent, hosting quality performers, six vocalists and four Ukrainian dancers plus a (North Country) comedian. No conjurers on this trip but a Stevie Wonder musical evening was offered, the enviable Abba and songs from the Sixties. The lounge itself is spacious but does suffer from an earlier era with ships that required more internal structural elements (pillars). It still filled up virtually every night. 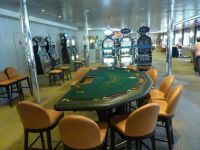 Magellan has a card and bridge room, a small casino with blackjack, roulette and slots, and a wi-fi café, although your editor’s laptop worked well from the cabin. There is a well-equipped gym on board and this seemed to get rather busy first thing. For whatever reason, all cruise ships appear to have a quiet period early evening with nothing really going on. Your editor found it ideal for a gym visit and then into the seawater pool, followed by a whirlpool laze (but not too long). This will be his plan for the future. As with everything CMV, the Wellness Centre was reasonably priced. With only one sea day there was not much time for presentation talks but the ship fitted in guest lecturer Jim Barnes discussing the RAF Vulcan and women in aviation, plus a craft-creation talk by Marjorie Smith. That they always clashed did not matter! Whilst a Sunday church service is not offered CMV is happy to offer a private lounge and publicise such congregations. Groups travelling together can also use the facility for gatherings. Where is CMV and where does it go from here? The cruise line, based in Purfleet, Essex, knows its market. Magellan was a big jump for the company in terms of capacity and, following the success of Astor last winter, the idea of Sydney as the ultimate destination for an around-the-world trip for our winter seems to be paying off, with 600 global voyagers already signed up. CMV will concentrate on northern Europe for summer 2017, an area the on-board service teams know well. 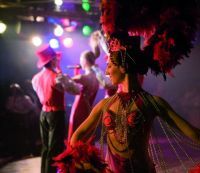 Magellan overnights at the London Cruise Terminal, Tilbury, at dates in December and will offer lunch and show £49 per person, dinner and show £79 per person with an overnight with breakfast included in a twin inner cabin for just a £20 per person supplement. (Based on twin occupancy). Plus a tour of the ship. Columbus arrives next June, already selling out on certain cruises, and with a programme announced until the end of October. Just over 40% is repeat business. With Marco Polo, Magellan and now Columbus, perhaps it is Vasco de Gama for 2018. See also ON TOUR. 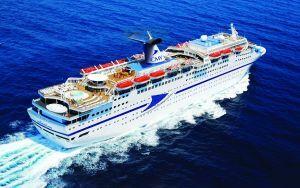 Readers can book online www.cruisingshow.co.uk quote 'BTNEWS' to claim the discount, or by calling +44 (0)871 620 4024.